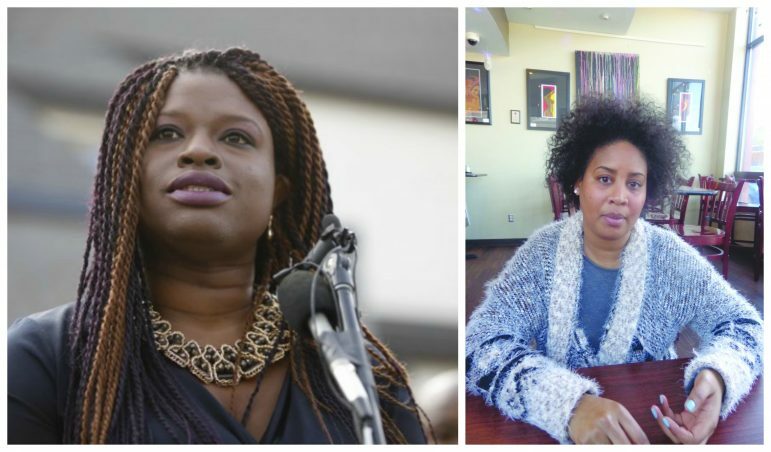 Two Black female Minneapolis DFL candidates will seek elected office without party endorsement in the November municipal election. Nekima Levy-Pounds is among nine candidates, including incumbent Betsy Hodges, running for Minneapolis mayor. Raeisha Williams is among two other challengers running against incumbent Blong Yang in the city’s Ninth Ward for city council. Last week, both women jointly announced on April 4, the day of the city-wide caucus meetings, that they will not seek DFL endorsements. Levy-Pounds and Williams, in separate phone interviews April 5, explained their decision to the MSR. The caucus process has mainly discouraged many Blacks and other people of color from participating. “I believe a lot of that is intentional,” said Levy-Pounds. “The process can be confusing. I believe that the caucus and convention process…is really built for insiders. It is also unwelcoming to political newcomers, young people and those speaking [English] as a second language. A candidate not seeking DFL endorsement is not unprecedented — Hodges, without the party endorsement — was elected Minneapolis mayor in 2013, the same is true of Governor Mark Dayton when he first ran for office. “There are a small number of people who control what happens in electoral politics,” bemoaned Levy-Pounds of the caucus process, where supporters of candidates lobby for delegates who vote for the candidate at the convention. But some conventions end with no candidate getting the necessary 60 percent vote for endorsement. Williams added that more advance community training on the caucus process is needed, and such sessions should be held well in advance of the scheduled caucus. The mayoral hopeful further argued that the DFL doesn’t push hard enough for women candidates of color. “[There have been] a lot of women of color who have run for political office in the state of Minnesota seeking DFL support and sadly they have come up short,” reiterated Levy-Pounds. “A lot of the people are older, White, middle class people who are helping to decide this process,” noted Williams. DFL Chair Dan McConnell told the MSR that neither he nor anyone else in a leadership role would comment on the Levy-Pounds and Williams assertions. Both women also seriously questioned if the entire DFL endorsement process is still needed considering Ranked Choice Voting (RCV) in Minneapolis, where voters can select their three top choices. “When I learned more about Ranked Choice Voting, it definitely reinforced the notion that the process of caucusing, convention and endorsement by the DFL is antiquated and probably unnecessary,” said Levy-Pounds. “This raises the question why we need to caucus. Why do we need an endorsement process for the DFL? This essentially is a one-party town. It makes little sense at this stage to have people go through that process.” Williams said RCV is the best process. As a result, both Levy-Pounds and Williams said instead of political and other endorsements, they will seek endorsements from the voting public. “Those are the people we are going to rely upon to come out on November 7 and vote,” said Levy-Pounds. “Those are the people whose voices we want to hear when we are to set policy for the city, and push for some of the transformative changes we talk about. “The people’s endorsement is much more important than the traditional endorsement process,” stressed Levy-Pounds. Blacks & Browns, should have there own Party & Nomination, they already are a VOTING BLOC. Blacks & Browns interest, have to addressed, from this day forward, POLITICALLY BLACK HAVE Base fundamentally POWER. And being Blacks & Browns are not “MONOLITHIC”, it should be a BIG TENT PARTY and foundationally be about culturally reversing our collective Colonial Conditioning, in America. Enough of the two party system! Proud of you two women stepping up to break the system. Elections are supposed to be a grass roots process, not an entitlement system. We all saw the results of the Dems entitlement thinking in the ’16 Presidential election. Do your homework and vote for the candidate who supports your interests.